This change is caused by epigenetics -- a dynamic set of instructions that exist 'on top' of the genetic information, that encode and direct the programme of events that leads to differential gene expression and worker or queen developmental outcome. Bees are also very important pollinators -- so it is crucial to understand their molecular biology, how they develop and the mechanisms that regulate this. 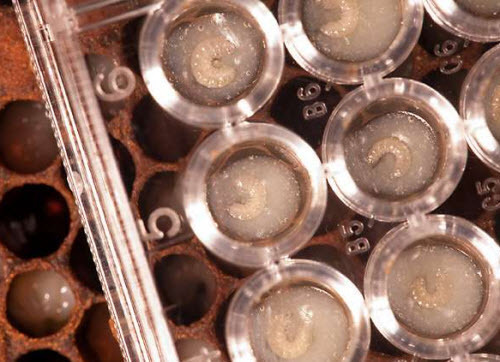 From tiny hatching eggs to quivering pupae to hair-sprouting adults, worker honeybees develop at lightning speed thanks to a time-lapse video of 2,500 images. 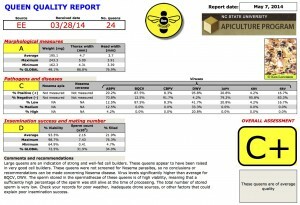 NC State University - Entomology "Queen & Disease Clinic"
If knowledge is power, then one of the most effective tools in the beekeeper’s arsenal is to know the health and productivity of their bees. However, many important factors to colony health cannot be easily quantified without sophistocated techniques. 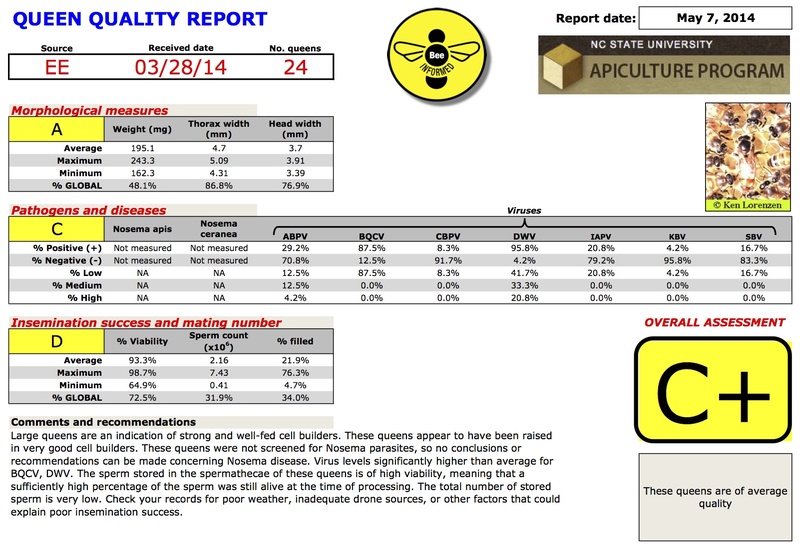 The NC State Queen & Disease Clinic is now offering a wide range of analytical tools to quantify queen reproductive quality as well as queen and colony health. 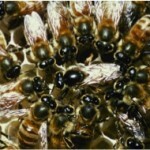 The reproductive quality of queens, and the drones with which they mate, has been among the top management concerns of beekeepers for the last decade. 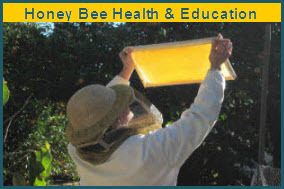 Being able to verify cohorts of queens for their mating success, identify failing queens, or diagnosing laying problems are all helpful for successful beekeeper management. 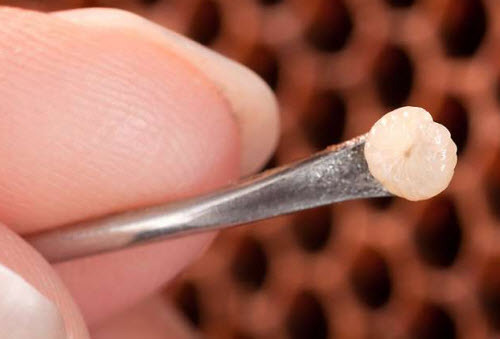 Moreover, testing queens for infection (Nosema and viruses) can also be important for improving genetic stock, since it is known that these diseases can affect queen and colony performance. Testing colonies for diseases and genetics is equally important. We can measure virus levels within colonies and compare them to baseline data to determine potential deviations that affect colony health. 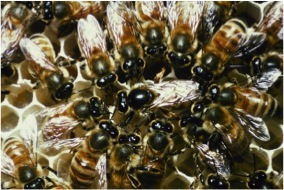 The importance of Africanized bees is also an ever-increasing threat, particularly on the Eastern seaboard, so a diagnostic genetic test is the standard means of determining Africanization. Finally, intracolony genetic diversity is important for many aspects of colony function, thus our high-throughput process of calculating effective paternity frequency of the queen (=mating number) can be useful for both the beekeeper and honey bee scientists. 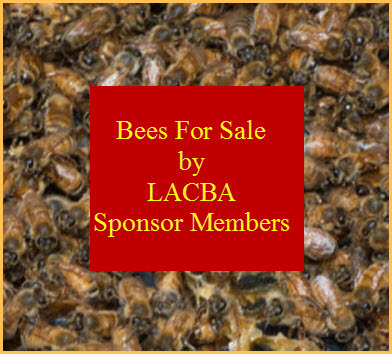 To request a quote for any of the above services, please email us directly.Because of processing and time constraints, there is a minimum of 5 queens or colonies per order. We will then generate and email you an invoice for the requested services. Remit by check made out to “NC State University” to schedule a delivery date, or pay by credit card using our online payment system. Once a date is arranged to send samples, all bees must be mailed while alive unless otherwise indicated. Overnight delivery should be made to the shipping address outlined on the invoice. No samples will be processed until payment is received. Processing time depends on the type and number of analyses, as well as the number of samples to be measured. 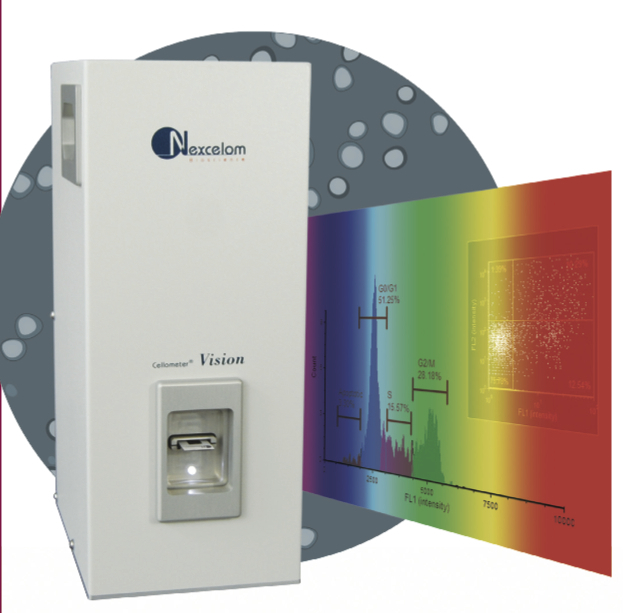 However, our high-throughput processing procedure typically results in sending a report within 1-2 weeks of receiving the samples. Reports of all analyses are summarized into a simple format that provides relative measures. This places the findings into context and makes it much easier for fast and reliable interpretation.